How I Gained It: I don’t ever remember a time in my life where I thought I was thin. I was always active as a child playing softball, basketball and even a short stint as a cheerleader, but I never felt comfortable with my body. When I went away to college weight piled on thanks to “Fried Fridays” in the cafeteria and late night fast-food runs with friends. After undergrad, I moved to the east coast, and the stress of living in a new city and not knowing anyone only exacerbated the problem. 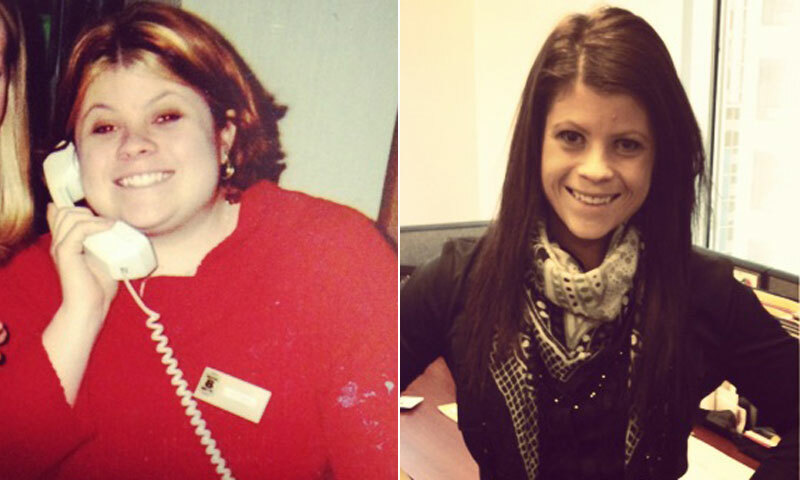 In 2006, my best friend asked me to be the maid of honor in her wedding, and I knew I couldn’t be the “fat” bridesmaid in the pictures, so I signed up for Weight Watchers and lost 70 pounds before the wedding. After the wedding I stopped going to meetings and slowly started gaining back the weight. In 2009 after five years of living on the east coast, I was laid off and forced to move back home with my parents. In addition to being laid-off, I had learned that my father was diagnosed with cancer. All of these factors turned into an emotional rollercoaster that I satiated with food. Fortunately, I was offered a job opportunity in Chicago shortly after my father was pronounced cancer-free, but once again I found myself in a foreign city with no connections. 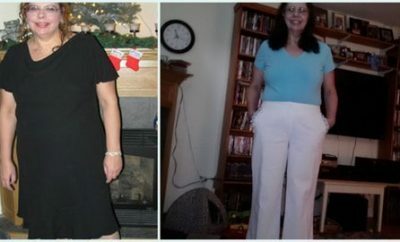 By 2011 I had gained back 40 of those 70 pounds I initially lost. RELATED: "A Women-Only Gym Helped Me Drop 35 Pounds"
Breaking Point: In the fall of 2011 my brother called me to tell me I was going to be an aunt. Immediately my perspective changed. How could I be a good example to my nephew if I was overweight and unhealthy? I was determined to be the fun and healthy aunt. 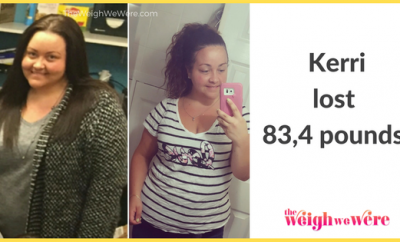 How I Lost It: Thankfully around the same time I started a new job and discovered that they offered an at-work Weight Watchers meeting and they even reimbursed my membership through our company’s wellness benefits. Over the course of a year and a half I have dropped those 40 pounds I had gained back and an additional 20 for good measure. Throughout my journey — and it is a journey by the way because it never truly ends — I discovered a love for all things fitness. I tried bootcamps with a fellow co-worker, boxing and even Bikram Yoga -– yes, the yoga where they make you practice in over 100 degree heat! In the last six months I surprised myself and started running. 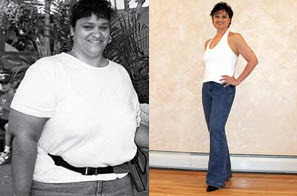 A fellow Weight Watchers member and co-worker convinced me to participate in a half-marathon with her in May 2013. I never cry, but I cried when I crossed that finish line. I was always the overweight child who was the last to finish the mile fitness test in school, and now I was running a half-marathon. I felt like I left behind my former self when I crossed that line. Now, I love discovering new ways to challenge myself and see what my mind and body are capable of doing. A few months ago I began a blog documenting my 2013 challenge to run 1000 miles called K-B Fit. I’ve always been transparent about the ups and downs of my weight loss, and I love sharing my experiences through humor and observation. My favorite part of this journey though is receiving emails and messages from people I haven’t heard from in years saying that I inspired them to eat healthier or start running. I love the fact that my journey goes beyond myself and has had a residual effect on others. After Weight: I now weigh 143 pounds. Still not at my goal weight, but I’m getting there. 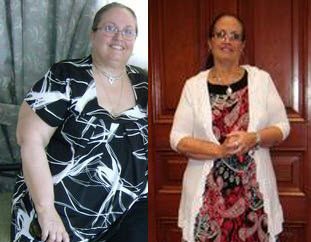 Next Story → 124 Pounds Lost: I did it for me!